So many thoughts swiveling my mind as I go about my daily chores, yet pondering, reflecting on life. But I as sift through the clutter I know there is a thought that constantly drags me back to ponder on it and mull over it over and over again. I watch the days turn into weeks, the weeks turn into months and the months swiftly turn into years, even decades. I also wonder how time has gone by so quickly with so much water under the bridge, so many changes, so many adjustments to various seasons of life, so many changes in a world that this growing increasingly small thanks to the internet and high speed travel. What is starkly different from the era gone by and this post modern era is, that it has come to be defined by a generation with a very short attention span. Very few have the tenacity to see things through over the long haul. “Bored” has become fashionable and not an anomaly anymore. Today we see people chasing after fleeting fads, the latest in music, fashion, relationships, job, gadget, car, home. There is an in satiated hunger and perusal of the “next” whatever that may be in the hope that that will fill the gnawing emptiness that needs to be filled somehow. And yet, in all the clutter of our commodities, ironically, often unknown to us, what we are actually in desperate search of the very opposite of “the next”! 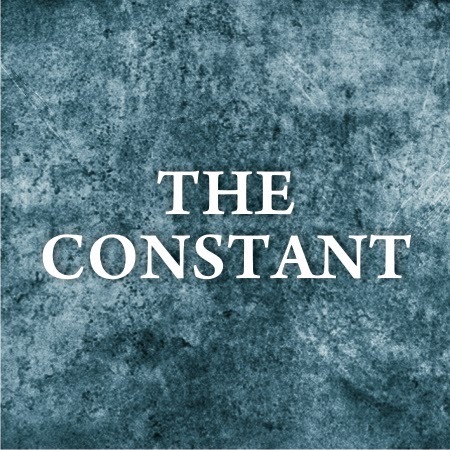 We all need that constant in our lives. It is that “constant” that grounds us, keeps us rooted, is our internal compass when life throws a curved ball at us. It’s what defines us, who we really are. Sadly many are growing up in this existential world with no concept of this compass in life, therefore are tossed by every “ googly” life throws. Often we don’t know right from wrong therefore the choices made are often just looking at things with a short term perspective not understanding that everything we do has far reaching consequences not only for ourselves but for those around us, for society at large and even for the one we care about the most. The cause and effect of our actions have a ripple effect through the sands of time right into eternity. That constant that we need and unknowingly are in search of cannot and does not come from a life that is always changing. It has to come from that which is not governed by the limits of time, culture, tradition or the finite mind of man. This constant must transcend time – it is timeless. Reflecting on this I know that I have found this constant in my life: unchanging, unwavering, rack steady to the very end. This constant is not a thing. This constant has a name : Jesus. I am reminded of the old hymn “all may change but Jesus never, glory to His name”. He is the uncreated ONE who alone creates and sustains everything. Not only is He eternal but I am always amazed at HIS unfailing, unflinching, unflagging faithful love. This is constant and unchanging. There is no situation too dark or big or messy where His hand cannot reach into and pluck me out. He has been my north star, my constant in a very fast changing world that lives in a tornado of the temporary. In life’s journey that is full of wonderful memories and painful ones; a journey checkered by uncertainties, shifting sands, fickle relationships, health challenges etc, the one constant that I could throw myself upon without any hesitation has been Jesus. He is the one that faithfully leads us through thick and thin, through the highs and the lows in our lives. He is my guiding light, my moral compass, my salvation, my savior my faithful friend. Reflecting on my 4 decade walk with him I felt the lyrics to a song stir within me and so I wrote it as a testimony to this constant in my life. It is a song of gratitude to my constant ever faithful God. My prayer is that you will know Him as your faithful GOD and Constant too.